Summary: Dangerous criminals, using highly advanced clockwork technology in order to carry out larceny, burglary, kidnapping, destruction, and piracy. Legal Status: "Pledge no loyalty to king nor country," is the Aether Pirate creed. They are loyal only to their own shipmates their captain, and to other Aether Pirates, in that order. Location: Any area with aerial access and high technology, most commonly found operating out of Downtown and the Northeastern Research District. This dispatch serves as a warning to all SWAT Commands to be prepared to respond to Aether Pirate activity. The Aether Pirates have grown bolder in the past several years, under the leadership of “captains” like Ser Morgan, Boilerpunk, and Captain Barbarous. I know the Pirates have the reputation of being “lovable rogues” in some quarters, and I’ve heard rumors that some officers dismiss them as “those goofy steampunks” and “refugees from a theme park ride.” This attitude has to stop. True, the Pirates are usually more concerned with loot than with inflicting bodily harm, but make no mistake. The Aether Pirates are a wily bunch of robbers, killers, and thieves. They have evaded international task forces and even armies set to capture them for several decades now. We underestimate them at our peril. You’re most likely to face Aether Pirates in response to a major robbery or a hijacking, though some Pirate crews do mercenary work for other villains. They usually swoop in fast with jetpacks or small, highly maneuverable aircraft, then use their speed and agility to escape before opposition can arrive. Be prepared to call for air support if you’re outdoors. Aether Pirates’ weapons, though they look old-fashioned, easily outgun a beat cop’s. Their “clocklock” rifles fire dangerous bursts of energy, and the steam-powered pressure repeaters carried by the more burly Pirates and their robotic “swab-bots” can punch through vault doors. Be careful when facing a Pirate hand-to-hand! Many wield electrified “lightning sabres” or saw-like “chain-sabres” powered by clockwork mechanisms in the hilts. Some Aether Pirates, such as the soot-enshrouded “boiler-borgs,” have even replaced parts of their bodies with clockwork or steam technology. 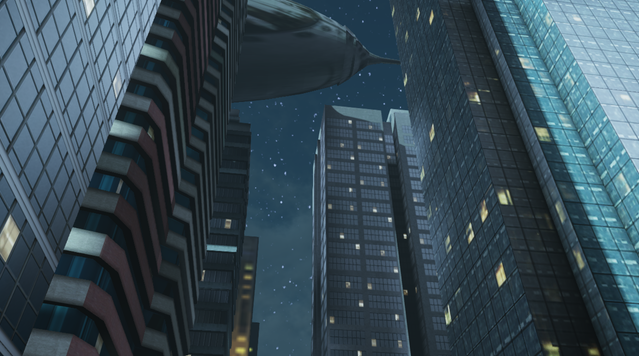 At least five Aether Pirate fleets are believed to operate in the Titan City region. Each includes hundreds of Pirates and dozens of personal aircraft. A fleet centers on a carrier-sized airship under the overall command of a “captain.” The fleets will unite against us or against heroes, but beyond that, each fleet works independently, held together by the captain’s charisma and informal codes of “honor.” Individual captains greatly influence the attitudes and goals of their crews. Don’t assume la Cisna’s wily thieves will behave the same—or strike the same targets—as Boilerpunk’s self-styled revolutionaries. Please brief your officers on this information. Updates on specific Aether Pirate activity will follow in the coming weeks. I know the officers of TCPD SWAT will live up to their deserved reputation for courage and face the Aether Pirate threat head-on. Combat Information: Even the sole Aether Pirate crewmate is typically highly armed and very dangerous. The specifics of their clockwork weaponry remain a closely guarded secret, with the equipment becoming useless without the pirate yeilding them. What is known is that they use a variety of weapons, from the humble clockwork pistol to large steam-powered brass and copper lined airships, the largest of which rivals a surface navies fleet Destroyer. Rumors of even larger ships have circulated, but to date no confirmation has been had. The Aether Pirates train, live and work together on a continuing basis. As such, they know how to work together, and a typical Aether Pirate operation is often times notable for how quickly they are carried out. This also breeds a strong sense of loyalty, and more than one captured crewmate has brought multiple ships down on the police precinct which had captured them. The most dangerous individuals are those labelled as "Boilerborgs," and are nothing less than walking clockwork monstrosities. A single Boiler Borg has been known to take down whole teams of super powered vigilantes, and when one appears the TCPD pull out all of the stops and call up the specialists of the Arch Villain Unit in order to bring them down.